2M+ Messages sent to 1K+ Locations and counting. Improve food services with text messaging to gather and react instantly to customer feedback. 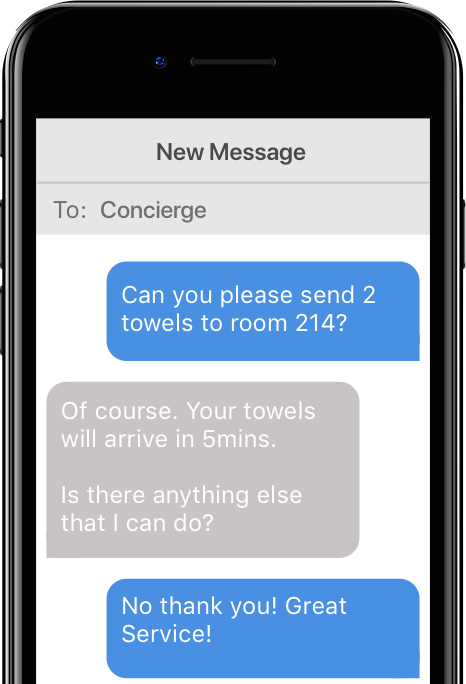 "Positive online reviews increased 200%"
"ChattBack offers our guests a simple mobile concierge and automates many tasks for our guest services team. We have seen our Trip Advisor ranking steadily increase." "We use ChattBack across 100s of our University restaurants for feedback on student food plans. Student retention and satisfaction scores have been outstanding."